If you are a constant social media user, you must have noticed that almost every major or minor political party has dedicated pages on popular social networking sites like Facebook and Twitter. Although most of these parties are constantly active on social media by posting updates and news, their activities increase even more during the election time. The Best Digital Marketing Strategy for Winning an Election. The internet, including social media, has provided political parties with a definite platform to reach a wide range of audience and market their campaigns in a more effective way. The politicians’’ use of social media has completely changed the way election campaigns are promoted today and how political parties interact with their followers. Role of social media in political campaigns. What is Social Media for Politicians? The rise of the internet gave everyone an opportunity to get introduced to the publicly accessible part of the technology. The internet gave birth to different kind of platforms and online portals which could be used for various purposes. Social media is the best tool for politicians to connect with their audience!! One of the purposes for which the internet is now being used commonly is for promotion, of everything from businesses to art to political campaigns. Social media has become a synonym to digital marketing for politicians. In fact, not only politicians but everyone is using social networking for their personal or professional promotion. Looking for a social media political campaign proposal that actually works? Hire SAG IPL social media marketing team for the best results. Social media, as such, does not have any direct role in politics. It can simply be used as a platform by political parties for the marketing of their election campaigns, portfolio, and other aspects to convey the message to billions of social networking users. Social media gives politicians multiple means to promote their campaigns!! The use of social media for the promotion and discussion about political matters has increased a lot in the past decade or so. This has given political parties a reason to be on these social platforms to be able to connect with their audiences directly and engage in ongoing issues. The motive is simple – to make people believe. Live news and updates: Social sites have now become a faster and more reliable source of news and updates about political campaigns, events, debates, etc., than the official news websites. Poll results: Thanks to social media, poll results are now posted online through live updates not only be respective parties but also by news channels because they know social is the new synonym of viral. Interaction with politicians: Today, if you want to interact or connect with a politician, no matter how big, you can simply take help of social media. Political parties are also using this platform to directly connect with their audiences. Reach Targeted audience: One of the best roles of social media is as a place to find the right targeted audience for promotion. If your party or campaign promotes women empowerment, you can find the relevant followers for that. Get viral: Again, social media is the best platform if you want something to get viral very fast. Political parties have been using this trait to make viral posts through their social pages. Fundraising: Social media can be a great way for political parties to find influencers and followers who can contribute funds to the election campaign and other party tasks. Now that we know that the internet if used properly, can do a lot for the publicity of political campaigns and parties, let’s discuss how to build a good Digital Marketing Strategy for Politicians, parties, and campaigns. A good digital strategy for politicians will include it all and give results for sure!! Only social media for political campaigns is not going to be enough. Your strategy must include everything, from website creation and optimization to organic search ranking to paid ads to social promotion and everything else. All political parties must have their own website and blog for information purpose. Even though social media does most of the job of information publishing and sharing, having a website can be helpful to build a brand. Emails are now one of the easiest, peer-to-peer, secure and fast way to connect with your audience. The platform can be used by political parties to regularly communicate with their followers and party members through newsletters, campaign details, news, etc. Keep your audiences updated with the latest campaign news by sending targeted emails!! Looking for Bulk Email Marketing Services, Here you go..
By using automated SMS software, you can easily build a marketing strategy to send your party followers regular updates through messages directly to their mobile phones. Social media is the best political campaign digital strategy you will ever need. If done properly, social marketing can lift up your election campaign to reach to millions of followers you didn’t even know existed. Our social marketing strategy covers everything from Facebook marketing, Twitter promotion, Instagram profile building, branding on Pinterest, video promotion on YouTube and marketing on Whatsapp. Still confused? Feel free to reach us to understand digital marketing for elections in a practical way or hire a SAG IPL social media marketing expert to build your political campaign social media strategy the right way. Marketing for political campaigns has not died, it has only emerged for good. Create a dedicated Facebook page for your party/campaign and get people to follow it. Join relevant political groups and promote your page/campaigns there. Facebook page on a regular basis. comments properly to create more engagement. Use Facebook ads to reach more of your potential followers. Create posts regularly tell your followers new things and updates about your campaign. Share tips and guides for voting. Engage in discussion on other political profiles and threads. Tag relevant (famous) people in each of your posts to instead the profile reach. Make use of trending #hashtags to get more traffic and followers. Take help of Twitter experts and influencers. Create and build a genuine profile on the website/app. Create and publish unique or actual images about your political campaigns with your Instagram followers. Tell them why they should vote for you, in fact, show them with images and videos. Create original videos for campaign introduction and promotion and publish them on YouTube via the official channels. Prompt your viewers to like the videos and also subscribe to your channel for more videos. Provide only genuine and real information through your videos. Do not lie to your followers. Above all, share only true and genuine information with your users on social media. Social networking sites are the best to make your content viral. Make sure to use it properly and to spread only true messages. Also, focus on creating and sharing tailored messages that target your particular audience. We do it all and some more. Contact us right away to get the best social media political campaign proposal from our expert digital marketers at SAG IPL. If you are looking to hire a digital marketing agency for the social and online promotion of your political party, campaigns, and nominees, you should consider your budget first. Based on your budget and your promotion needs, you can choose the best and most appropriate political digital marketing package. 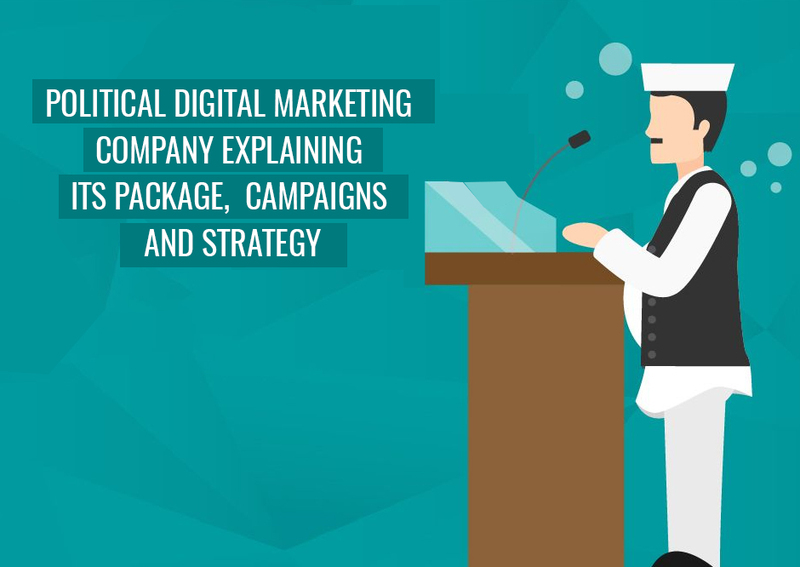 SAG IPL offers multiple digital marketing packages to fit the needs and budget of various political parties and campaigns. All our marketing packages cover the essential techniques including website optimization, social promotion, link building, etc. Take a look at our social media marketing packages to know more. Also, check out the social media political campaign case study on the website. Besides, social media, there are other digital marketing techniques, such as email campaigns and display ads, that are now being used by political parties for the online promotion of their election campaigns. We do it all. Our marketing packages cover everything digital, as you can see on our website. When you are going to promote your political campaign online or on social media for the first time, you will need an expert digital marketing team that knows what it takes to become successful on social media. Hire a team that actually understands your campaign and promote it to the right audience!! You can find and hire such a team with us at SAG IPL. Our expert team will not only teach you how to use social media for political campaigns but also they will help you build a solid online marketing strategy for your campaign and implement it for the best results. To conclude, social media marketing is not just about posting and sharing on Facebook or Twitter. It takes real efforts to find and connect with your target audience on social networking sites. We, as a professional digital and social marketing agency, know how to build a digital strategy that can actually work for the marketing of politicians and political campaigns. We know how to reach your potential audience, make them join your social pages and even convince them to support your party in the elections. Do reach us now to more.